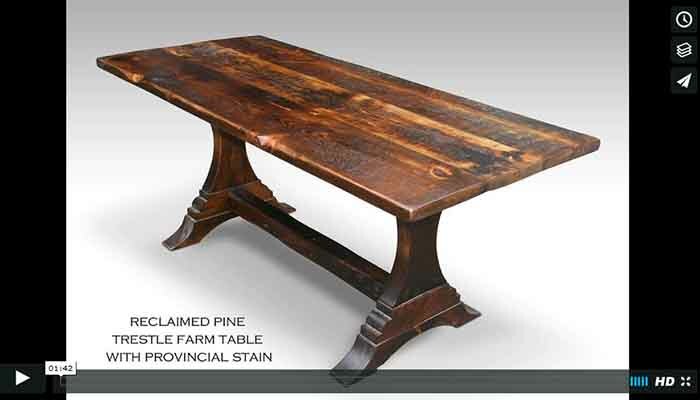 Top 20 Handmade Farm Tables Designs from Olde Good Things on Vimeo. Tables come in many different shapes and sizes, and can be made from many different materials. At Olde Good Things, we like to keep things simple; we make our tables from only the finest salvaged wood and create masterpieces for our clients by incorporating other salvaged materials we find in our warehouses.